Uniqlo Opens at CF Markville: Japanese fashion retailer Uniqlo is continuing with its rapid Canadian store expansion with the opening on Friday of a new 18,560-square-foot store at CF Markville in Markham, just north of Toronto. This follows the recent opening of a 28,150-square-foot store at Vaughan Mills, also just north of Toronto and next month, Uniqlo will open a 19,850-square-foot store at Mississauga’s Square One shopping centre. In the span of about two months, Uniqlo opened four stores in Canada — a store opened on September 14 at Coquitlam Centre in suburban Vancouver. Prior to that date, Uniqlo had five stores in Canada — two in Toronto and three in the Vancouver area. The two Toronto stores were the first in Canada and opened in the fall of 2016. All of Uniqlo’s Canadian stores are currently in the Toronto and Vancouver areas. Could Uniqlo expand into other markets in Canada? The company has said that it could open as many as 100 stores in Canada, so it’s not so much of a question of “if” but “when” — over the course of October, Uniqlo has hosted pop-up events in Montreal, Ottawa and most recently, Winnipeg. While not to speculate, Uniqlo also hosted PR events in Toronto and Vancouver prior to opening permanent stores. Cross fingers! Jeff Berkowitz of Aurora Realty Consultants represents Uniqlo as broker in Canada. Our Spin-the-Wheel is back at our @cfmarkville Grand Opening! Stop by between 2-5PM today only! Limit 1 spin per person. No purchase necessary. While quantities last. Sprout Collection is a new business that is quickly gaining traction in Canada with rent-able maternity and nursing fashion. It’s cost-effective, sustainable, and the first of its kind in the country, providing women access to an unlimited closet of maternity and nursing wear. 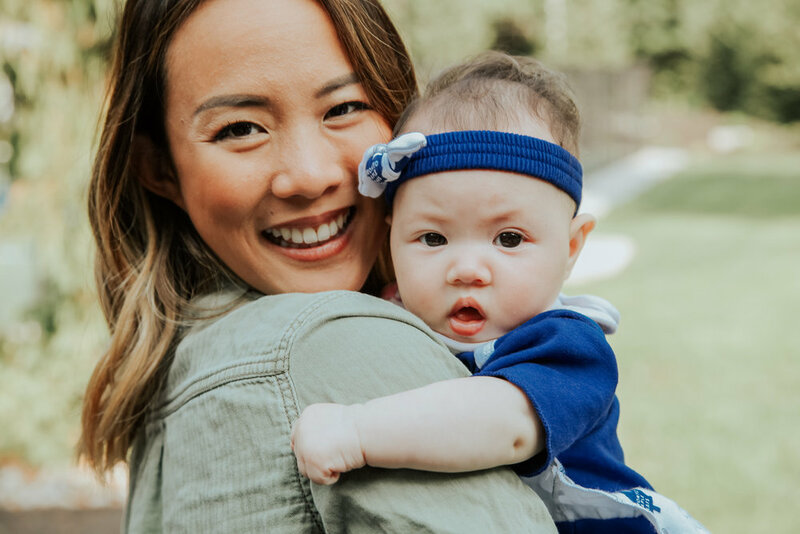 Launched in Toronto by lawyer and entrepreneur Joyce Lim in May 2018 (the same month she gave birth to her daughter), the business was inspired by her own struggle to find affordable but well-made maternity clothes throughout her pregnancy. Differing from the emerging dress/runway rental companies such as Rent frock Repeat or Vancouver’s FlauntBox, Sprout dresses women for a month at a time to accommodate their growing bellies. Offering three types of Membership subscription plans, which range from $99/month to $119/month with free shipping for Canadian domestic deliveries and returns, Sprout provides the convenience and the selection that women need. The process is clearly outlined on their FAQ page for those not familiar with clothing rental services. Current listings include versatile quality brands Isabella Oliver, J Brand, Seraphine Maternity, MISA Los Angeles, and more. Pop-in@Nordstrom MCM Brings the Beat of NYC Streets to Canada: Available at select Nordstrom locations (Vancouver, Toronto, Seattle, Dallas, NYC, and Los Angeles), Olivia Kim’s curated Pop-In@Nordstrom MCM showcases a capsule collection of bags and small leather goods crafted from MCM’s signature all-over monogram cognac visetos printed leather. The vintage-inspired silhouettes are bold in hues of red, green and blue, and a selection of pieces crafted from leopard-print hair-calf are embellished with custom gold-plated logo hardware. The pop-in shop contains more than 100 exclusive items, and in addition to handbags and leather goods, Pop-In@Nordstrom MCM features limited-edition monogrammed lifestyle items including Wilson basketballs and footballs, Everlast boxing gloves and punching bags, hats by New Era, Champion crewneck sweatshirts and hoodies, slides, umbrellas and more. Prices range from $60 for the water bottle to $2,795 for the MCM vintage golf bag. Kim has created a collection of MCM eye-candy which celebrates the heritage, history, and future of MCM. The Sue Kwon photo campaign which accompanies the capsule collection includes infamous rapper-provocateur Slick Rick and was styled by Misa Hylton, herself legendary among hip-hop’s biggest names – Missy Elliott, Lil' Kim, Mary J. Blige, Beyoncé – for creating trends since the 1990s. MCM also sells at upscale retailers nationally (such as Saks Fifth Avenue and Holt Renfrew) and the brand also has a standalone store on Bloor Street West in Toronto which opened last year. Bonpoint Opens 1st Canadian Store: Paris-based children’s luxury fashion retailer Bonpoint made its Canadian debut over the weekend with a standalone store in Vancouver. The 920-square-foot boutique is located at 1512 W. 14th Avenue in the city’s Fairview area, and is being run in partnership with upscale multi-brand children’s retailer Isola Bella, which operates a retail space in Vancouver’s Kerrisdale area. Bonpoint sells upscale children’s fashions including newborns, and also has a line of footwear, sunglasses, perfume and skincare. Some garments can cost into the hundreds of dollars each, which means its target market is households with discretionary income. The company was founded in 1975 with a single store in Paris, and the company has since expanded to include retail and wholesale accounts globally. Bonpoint has nine stores in the United States, all of which are generally located in upscale locations. CBRE Vancouver represented the retailer in the lease deal under the direction of Martin Moriarty, Mario Negris and Chloe Hamelin. Farafena Expands Offerings of Sustainable African Superfoods in Canada: BC-based superfood company, Farafena has announced its expansion into 600 stores across Canada including 500 Loblaw stores. The nutrient-dense, African-grown, and sustainable products include powders of ancient grains – fonio, baobab, moringa. The company’s vision is simple: to share our healthy, sustainably farmed food with the world, while improving the lives of women farmers and their communities in Africa. The company currently partners with over 850 African women farmers in nine villages, bringing nutrient-dense, African-grown products to Canadian tables. To date, Farafena’s engagement with women farmers in Africa has provided increased business opportunities and product earnings well above the national average. This is resulting in women being able to start micro businesses, build homes for their families, and educates their children – as well as improving the health and prosperity of rural villages while supporting traditional farming practices. Look for Farafena’s products available at over 600 retailers including Whole Foods, Loblaws, Real Canadian Superstore, Save-on-Foods, Urban Fare, and HY Louie IGA. NYC Transplant Brings Big City Bling to TO with Van Der Hout Jewelry: For 15 years, Karen Van Der Hout supervised retail accounts in New York City for major jewelry wholesalers. Now based in Toronto’s North York, Karen set up her own jewelry company - Van Der Hout Jewelry in Summer 2017 - specializing in personalized fine jewelry. 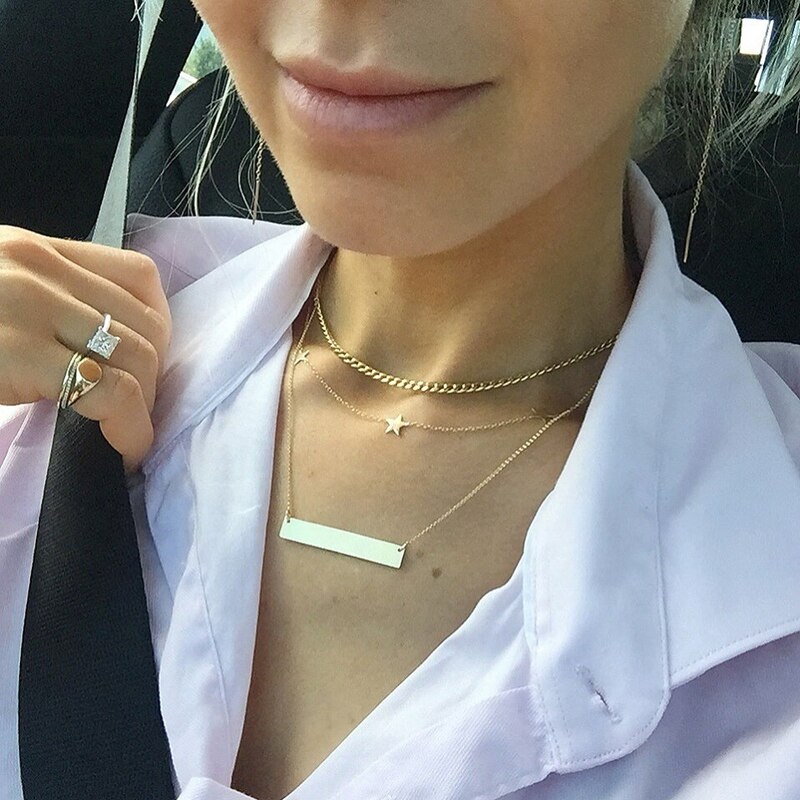 Success has been swift through word-of-mouth via Toronto socialites, Instagram influencers like Ania Boniecka, Beckerman twins Cailli + Sam, and Valeria Lipovetsky who are enthralled with her customized solid gold necklaces, earrings, rings and bracelets, bearing the initials and names of their children and loved ones. While Karen was initially selling to friends and family through her Instagram page, demand grew so quickly that she launched dedicated e-commerce through Shopify in early Fall 2017. VDHJ is riding the ‘personalization’ trend, favoured by such luxury brands as Louis Vuitton, Fendi, and Valentino, as almost all of her items are customizable. Necklaces offered are white, yellow or rose 14K gold, a particular chain length, and any engraving. In the year since, without any financial backers or major marketing effort, VDHJ is boasting sales in the mid-6 figures! 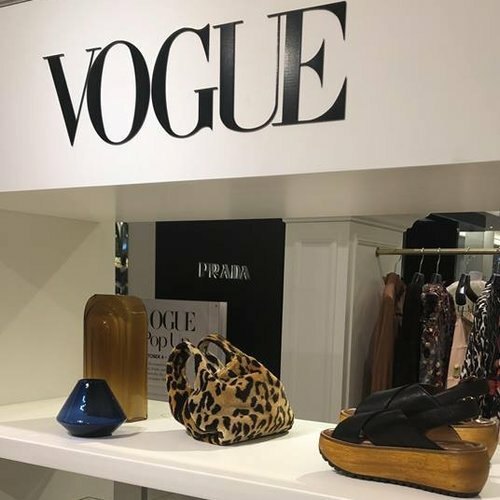 Vogue’s Selections for the Season Popping Up at Holt Renfrew: Holt Renfrew and Vogue have opened three new trend-driven pop-up spaces inside Holt’s locations across Canada. The chic white spaces have been created in Vancouver, Calgary, and Toronto. The merchandise, which is available online as well as in-store, through to October 28, was specially selected by Vogue’s new Fashion Director Virginia Smith and former Vogue Accessories Director Selby Drummond. Identifying Fall 2018 reflective elements as Global, Bright, and Timeless, the spaces are divided into ready-to-wear and accessories. For Global, the duo selected Dries van Noten with faux fur trims, Hayward, and Dior, for Bright it is Gucci, Adidas x Raf Simons and Kenzo, and Timeless features Saint Laurent, Chloe, and Acne Studios. Images by Sarah Darcy Style. 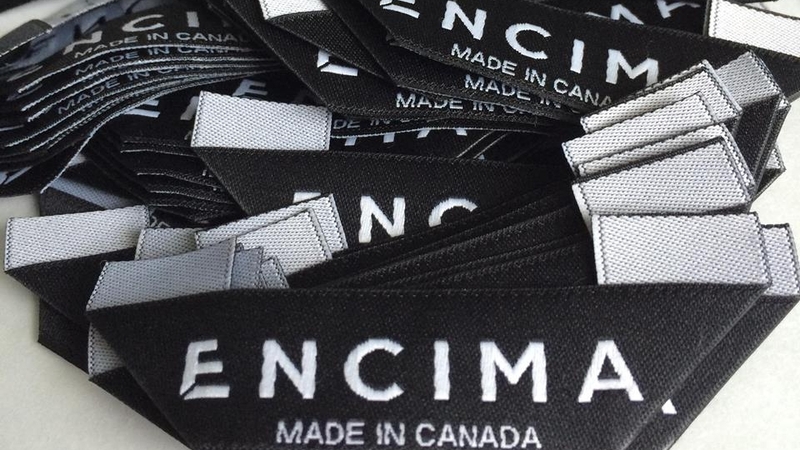 Vancouver’s Encima Clothing Closing with Celebratory Pop-Up: After almost four years, made in Vancouver brand, Encima will be closing down and doing so in style. The brand, founded/designed by husband and wife duo Faizaan and Suzy Lalani, have partnered with Cle Management to host a one-day pop-up event to sell off all remaining inventory and to close this business chapter with a celebration. The brand was known locally for its high-quality contemporary men’s wear which was designed and manufactured in Vancouver. Their recent Lookbook featured clothing with a streetwear feel with unique cuts. The collections have included jackets, longline hoodies, draped cardigans, and buttoned shirts in muted hues which suited the west coast aesthetic. The brand launched in 2015 and gained some traction by presenting at local fashion events, was stocked online and at Get Fresh Company in Toronto, and briefly at defunct Alfie Italia in Gastown and Rivermen in Mississauga. Lalani has invited the public to shop with all items being under $100, and for those in the industry or interested in getting into manufacturing in Canada to come and ask questions of Encima’s experience to share with others looking to follow their dreams. The event will take place at 430 Homer Street on Saturday, October 20th from 11am-7pm, with the celebration portion with DJ and beverages starting at 5 pm. Wicker Emporium Chain to Shutter Operations: Retail Insider reported in July that Halifax-based retailer Wicker Emporium had run into financial troubles though it would attempt to continue with its operations. It’s now been reported that the company will close all of its stores after 47 years of business. Last week an employee, wishing not to be named, told the Halifax Chronicle Herald that the furniture and home decor retailer will be closing its six remaining stores as a result of the bankruptcy. The company has assets of $720,000 and liabilities of nearly $5.4-million, according to the Office of the Superintendent of Bankruptcy. The chain was founded by entrepreneur India-based Madan Kapahi in 1972 and five years later, he moved to Halifax to expand operations that sold goods from around the globe. The family-owned business had 23 stores in 2014. Helen Siwak is the publisher of EcoLuxLuv.com Magazine, a Marketing & Media Strategist for numerous luxury based companies and content creator for local digital and print publications. When not writing, she is attending fashion events, traveling, and advocating for animal/human rights. helensiwak@yahoo.com.